The Cheltenham Festival is obviously great all week long but there is nothing quite like the Friday as we come to the Gold Cup & the big race is looking like a fascinating matchup between superstar Kauto Star & last year's winner Long Run. The supporting races are interesting too & we're going to try to finish off with a flourish & some more winners to follow up our banker of the week in Sprinter Sacre on Tuesday, then Finian's Rainbow on Wednesday & Riverside Theatre & Big Bucks on Thursday. 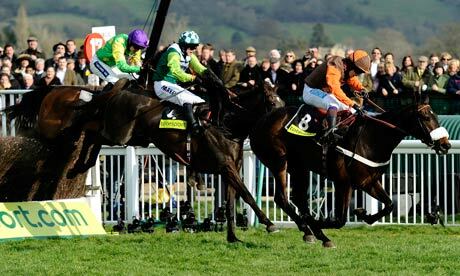 We have to start off with the blue riband event of jumps racing & the Gold Cup where we find two previous winners at the head of affairs with Paul Nicholls' Kauto Star & Nicky Henderson's Long Run the two to concentrate on according to many. No one can deny that Kauto Star has been a true champion & has had a renaissance year winning the Haydock Chase & regaining the King George beating Long Run into 2nd on both occasions, but we think that there are reasons for opposing Kauto. Obviously trainer Paul Nicholls has had a somewhat disappointing week even whilst winning the Champion Hurdle & World Hurdle, Rock On Ruby was trained at a sattelite yard & Big Bucks could probably win with no legs, his runners have otherwise just not looked great & that's to be expected as a virus was at the yard just at the end of February. Kauto's jumping has also been brilliant this year & probably the best it has been but he has always been prone to throwing in some dodgy ones & has fallen twice in 6 runs at Cheltenham as well as clouting the final fence on another two occasions, only two 12 year olds have won the race, the last in 1969, & it's now three years since he won his last Gold Cup in 2009. Nicky Henderson meanwhile has been in incredible form all week & that reads well for Long Run & his stablemate Burton Port, Long Run beacme the first 6 year old since the great Mill House to win the Gold Cup last year & surely has the scope to improve on what we saw last year as he's still a baby now in chasing terms. He's never been the most fluent of jumpers & although Sam Waley-Cohen is a perfectly competent jockey he of course isn't a professional & can't be counted as a positive, that's a worry but he didn't need to jump that great to win going great guns last year & the extra 2 furlongs (from the King George) & going up the Cheltenham hill will see him at his best effect. The rest of the field have some nice types in but very little value in their prices, Burton Port was getting 10 pounds from Long Run when getting beaten, just, last time but we've a suspicion that the winner was just idling that day & had plenty left to give, Midnight Chase is a 5 time Cheltenham winner but was beaten into 5th in the race last year & any value there was in his price is gone with best odds of just 12/1 now. I've dreamt that Time For Rupert wins a race here in the past week & it was quite vivid but I can't really count that as a tip, if he does though get in touch for Saturday's Lotto numbers! At 15/8 Long Run is the one to back as he looks to stamp his class on the chasing division & set up what could be enthralling encounters with horses such as Sir Des Champs & Al Ferof next year. The first race of the day is a race we enjoy a lot in the Triumph Hurdle, a 2m 1f race restricted to the four year olds, we were at Cheltenham for one of the key trials, the Finesse Juvenile Hurdle, on the 26th January & think that race holds the key to the winner today. We backed Grumeti, a 7/4 joint favourite that day & picked up winnings on it but only after Pearl Swan was disqualified after finishing first having bumped his rival twice on the run in. Baby Mix was the other joint favourite there but trailed in last running dissapointingly but bounced back in the other key trial for this in the Adonis at Kempton, when beating another contender Sadler's Risk fair & square, Sadler's Risk just couldn't peg back Tom George's runner there but may fare better up the hill. Hisaabaat eventually came good when beating several of today's runners in the Grade One at Leopardstown but we don't fancy any from that race & are happy to stick with the 1-2 from the Cheltenham trial. Pearl Swan hasn't raced since & we've mentioned our worries about Nicholls' yard but Ruby Walsh is happy to ride ahead of any of Willie Mullins' horses so he should be backed as a cover bet, with the main selection being Alan King's Grumeti, a horse who has looked all class, subsequently won at Kempton with ease & should get a lovely tow into the race. 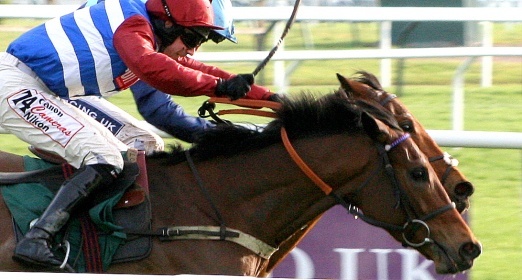 You won't go far backing both Grumeti & Pearl Swan against the field. In the last race of the Festival we reckon Kumbeshwar could end up giving Alan King a double on the day in the Johnny Henderson Chase at 5.15, he's on a reasonable mark when you look back at some of his hurdle form & should be very much suited by the large field. 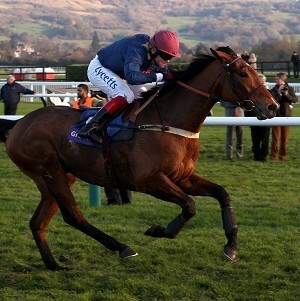 Kumbeshwar only just failed under a monster weight to win the Fred Winter after leading all the way last year, finished 3rd in the Adonis before that & then gave Zarkandar a race at Aintree, he takes his racing as he's gone 9 times since last Cheltenham including 5 chases against some good sorts. He won his first race, then finished second to Zaynar who ran well for a way in the Jewsons on Thursday, won again & then finished 2nd to Menorah then Kid Cassidy in 3 runner races at Kempton & Doncaster. We don't think those small fields will have suited at all & he'll relish coming back to Cheltenham, he's the youngest horse in the field & has scope for improvement. Improvement is key in any of the Cheltenham handicaps as it's not good enough to run to your handicap mark to win these races, Kumbeshwar has the qualities needed to win this & can be backed at 14/1.